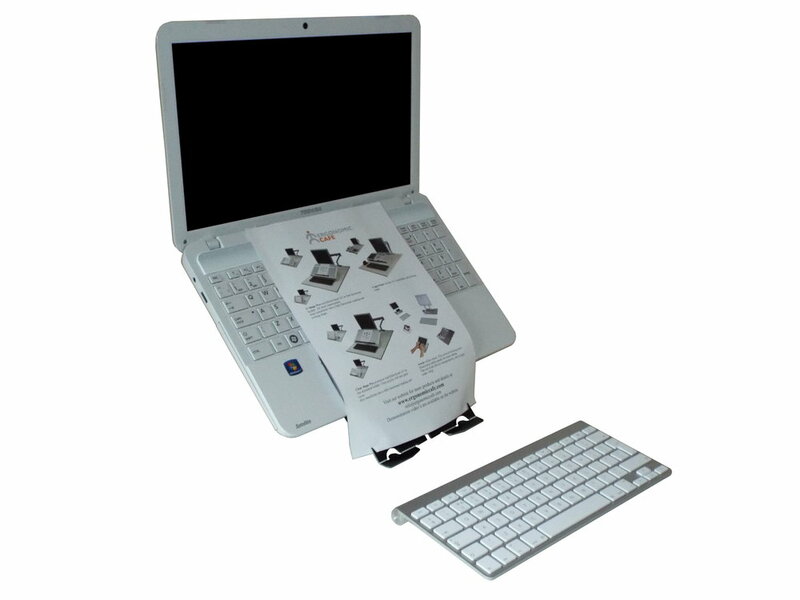 Premium laptop solution with Smart Set and Smart Doc system. 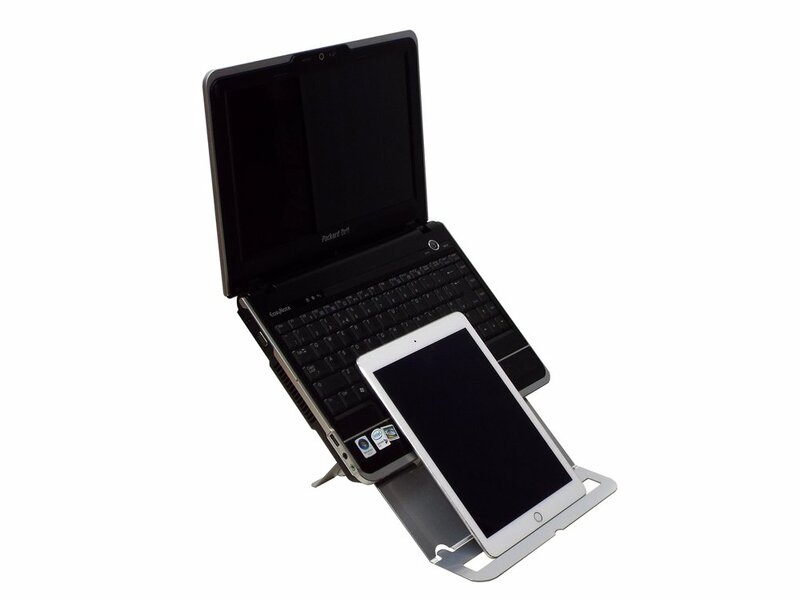 This innovative portable ergonomic solution configures to safely store your compact keyboard whilst on the move to save space. Suitable for all laptops, including laptops with a limited screen opening angle. This amazing stand is the World's thinnest laptop stand! Using our laptop stands can significantly help to improve your posture as well as increasing efficiency. Here is a clear illustration of how working directly on a laptop encourages poor posture, and thus increases the risk of musculoskeletal disorders.